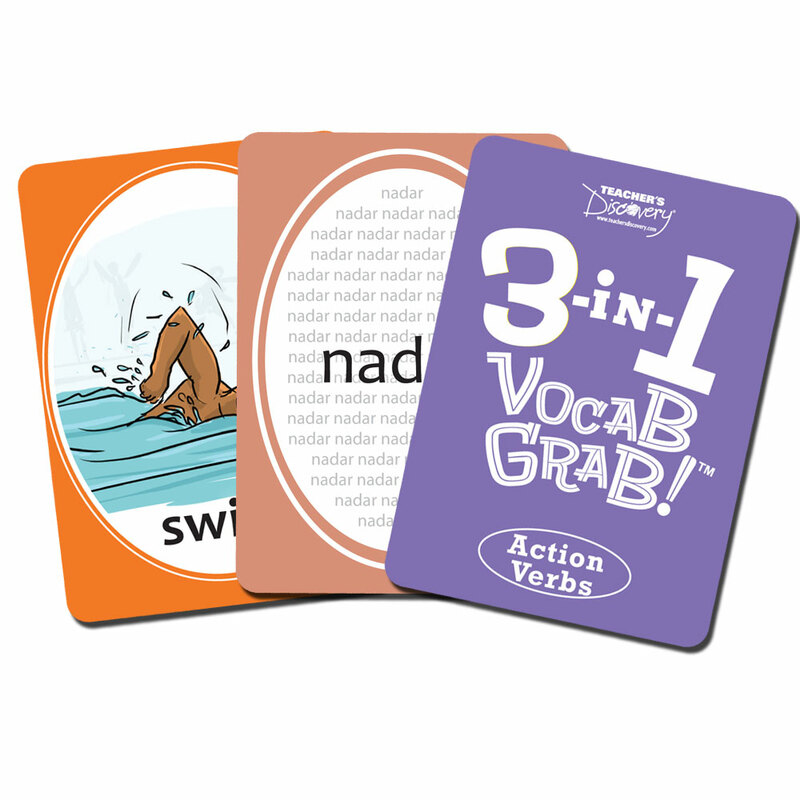 Vocabulary Reinforcement With Three Card Games in One Deck!Our Version of Old Maid, Go Fish and Concentration All in One! 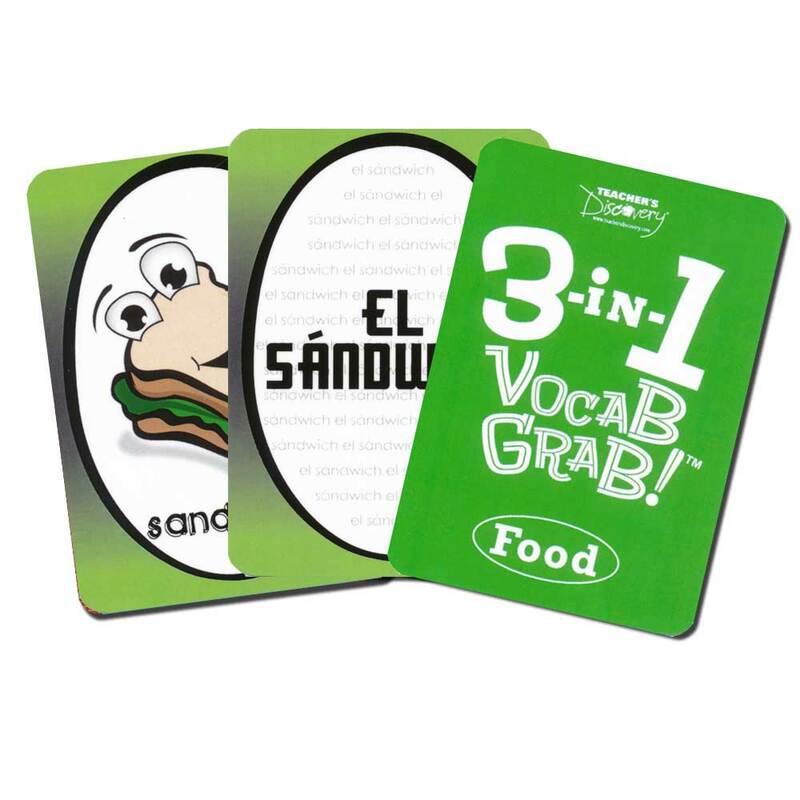 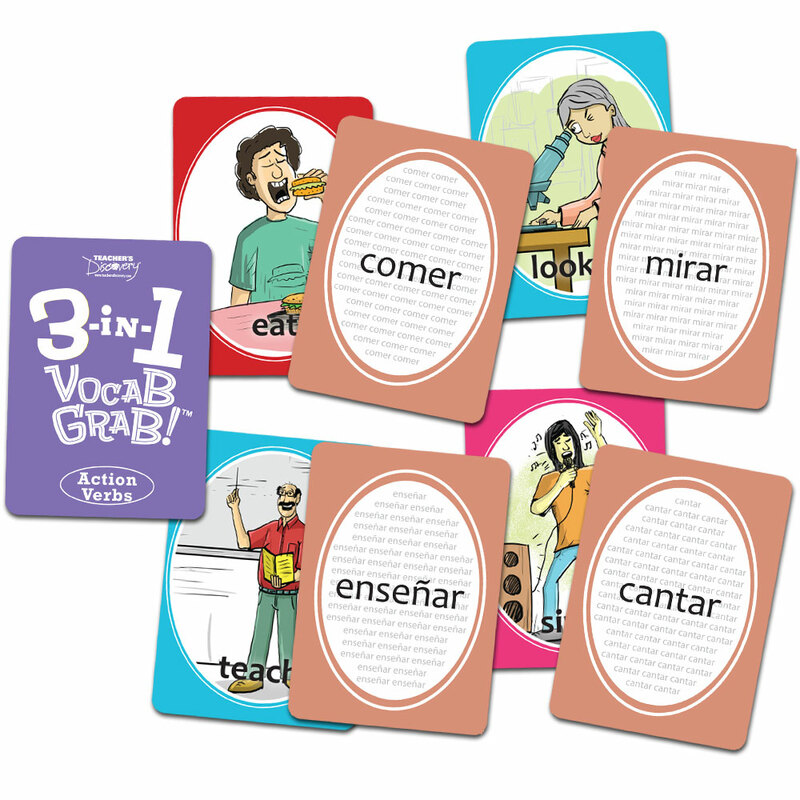 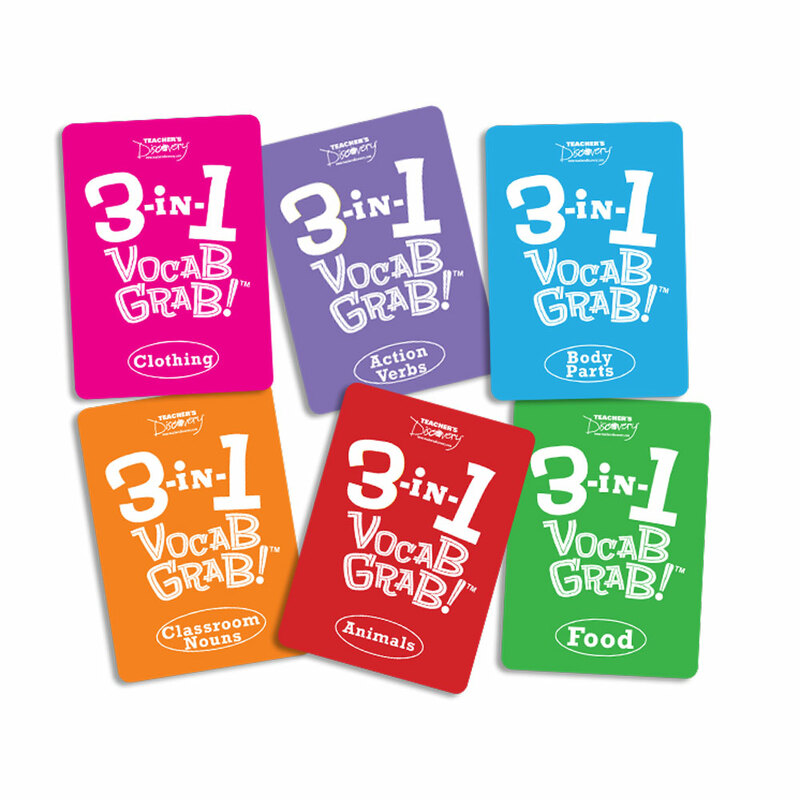 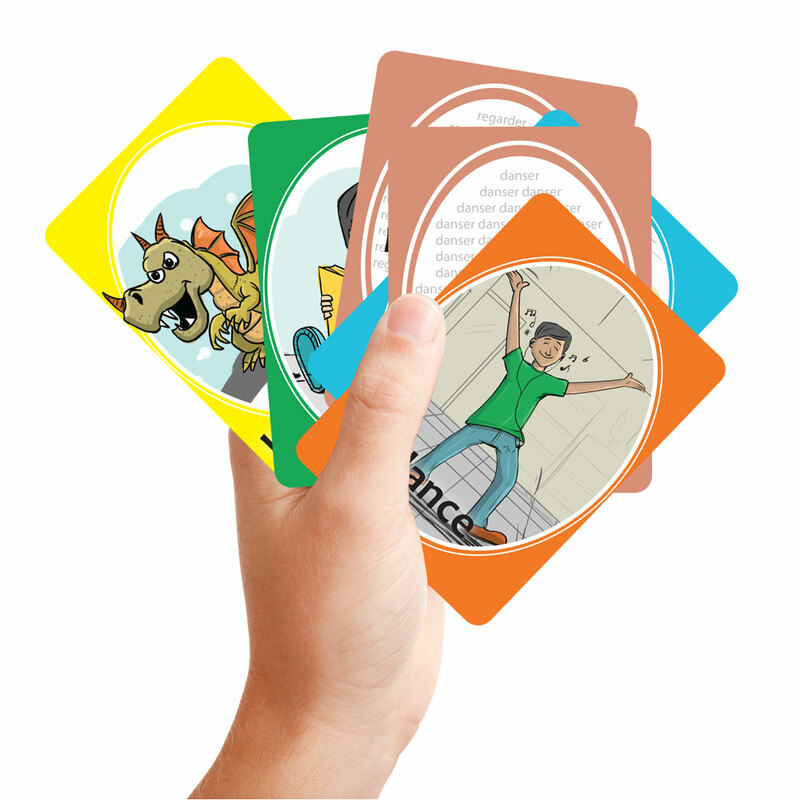 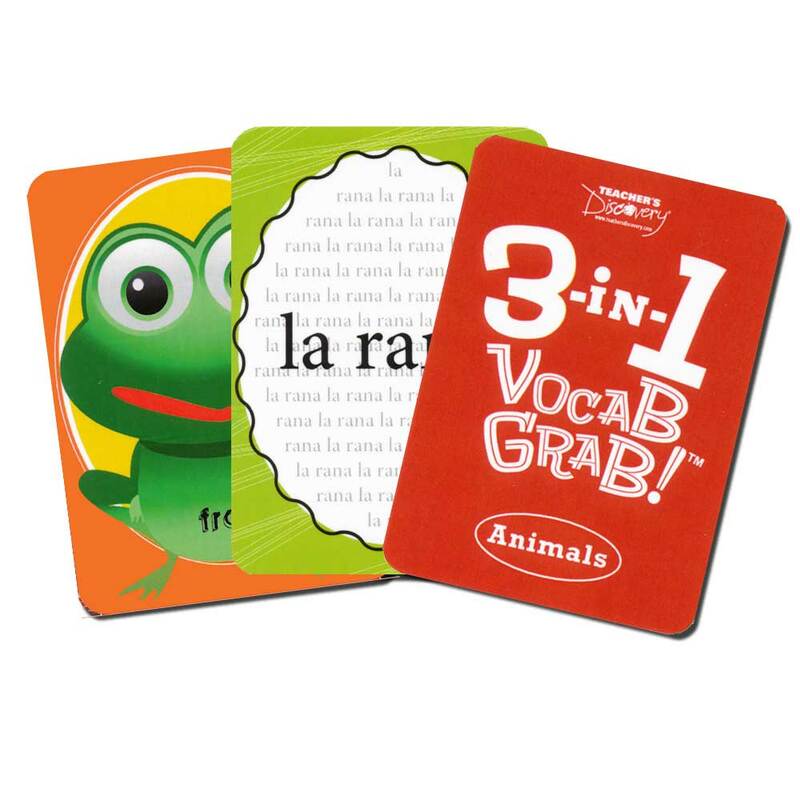 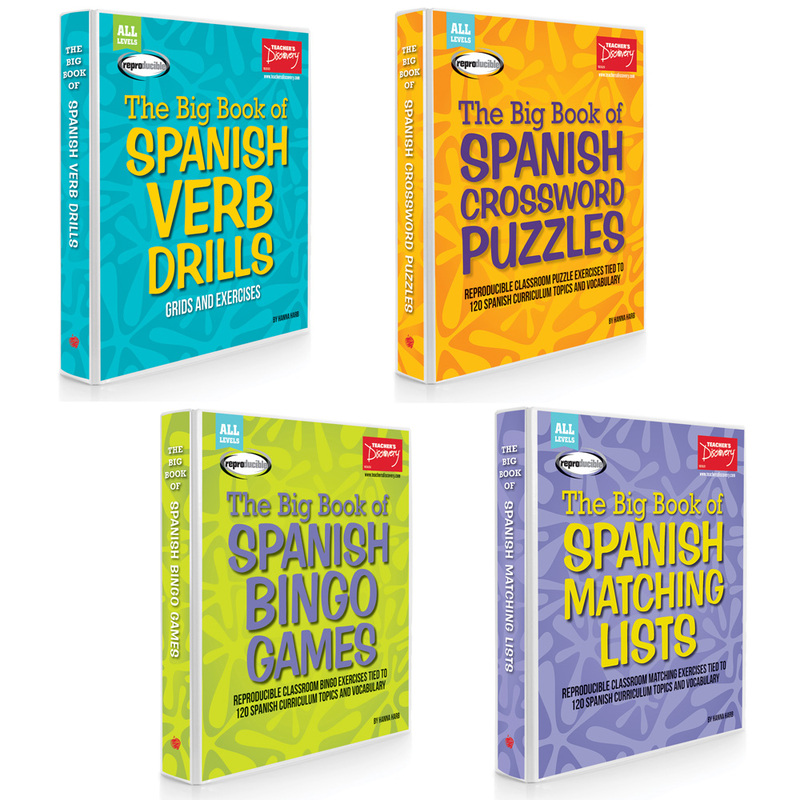 Practice food, animals, body parts, classroom nouns and clothing vocabulary with card games! 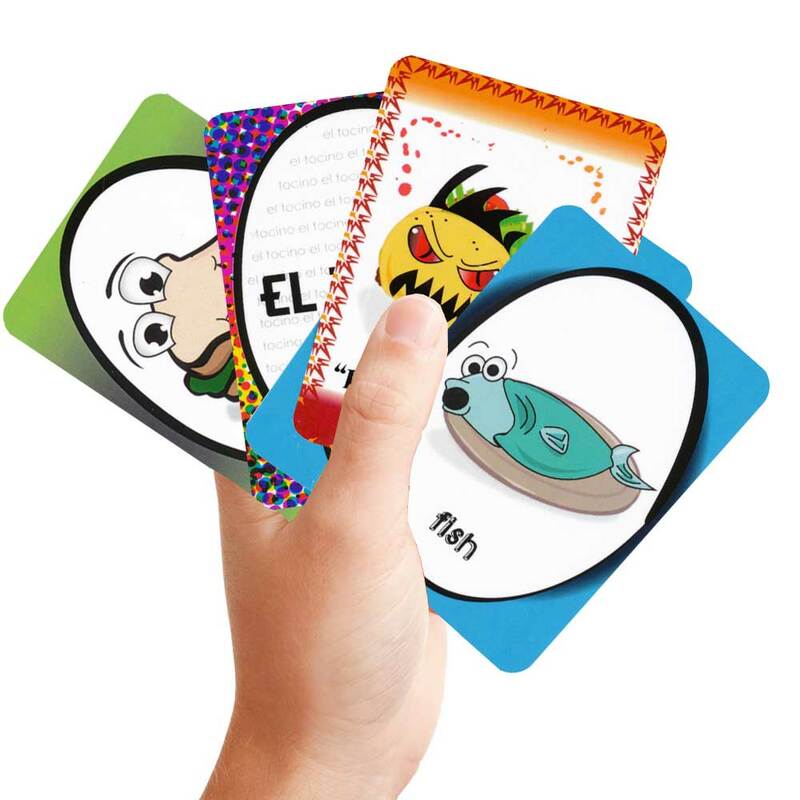 There are three ways to play that students know and love: “El Chupacabras” (Old Maid), “¡A pescar!” (Go Fish!) 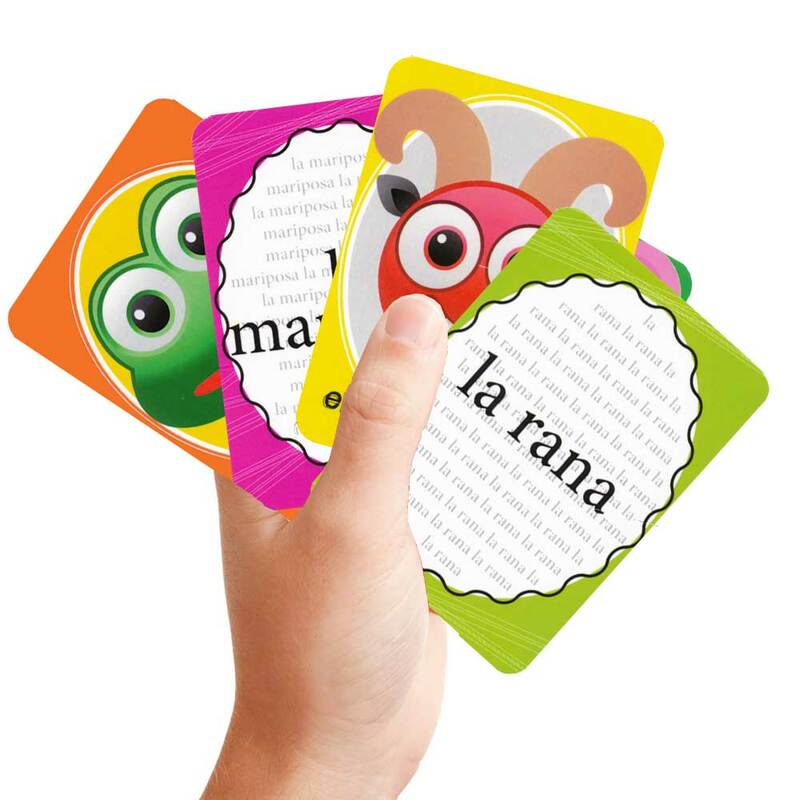 and “Juego de pares” (matching game). 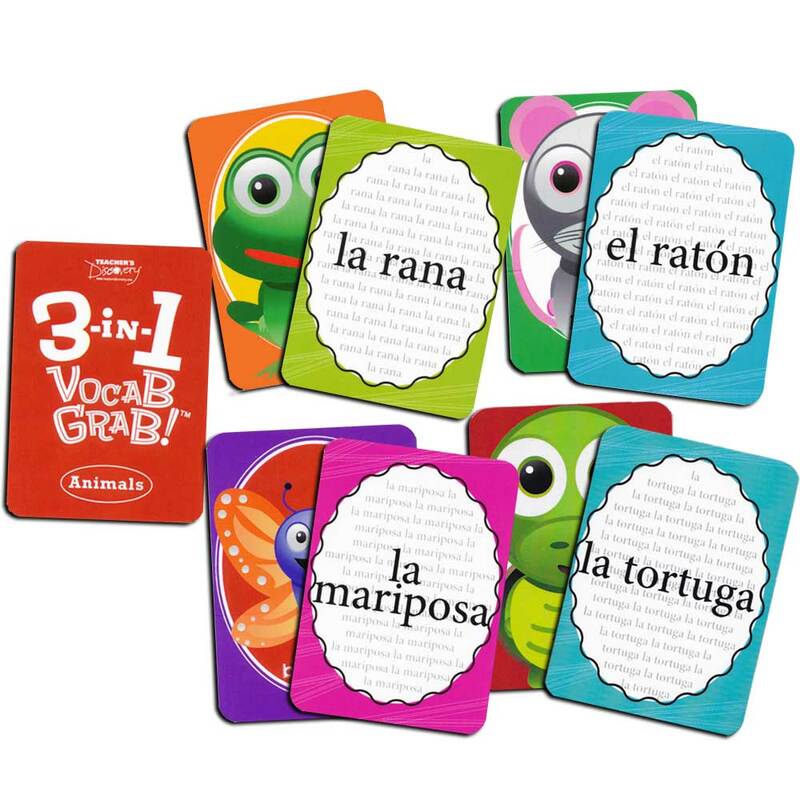 No matter what method your students choose, the goal is the same: match the picture to the correct Spanish word! 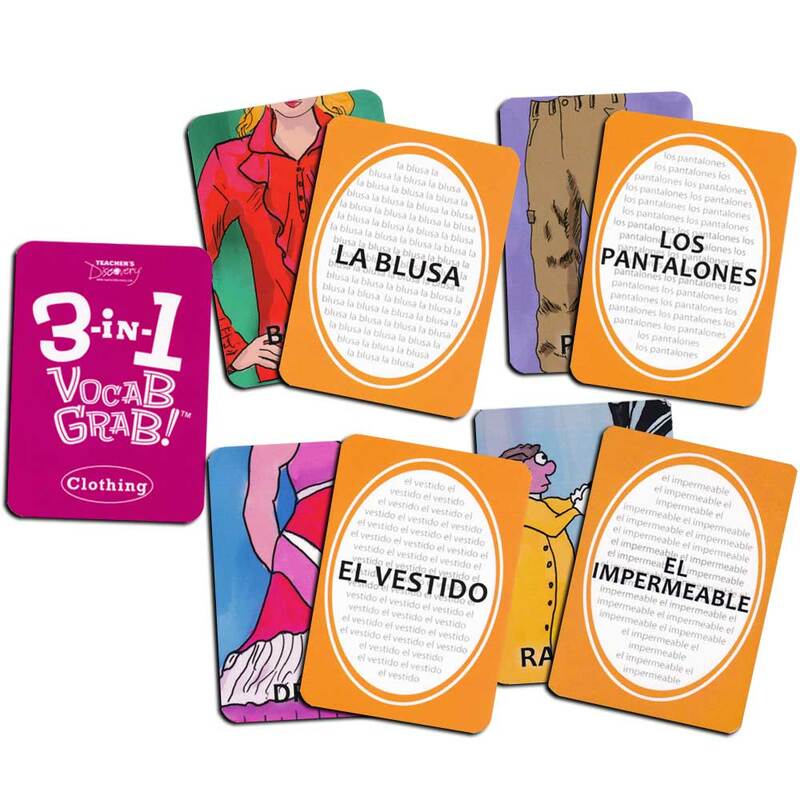 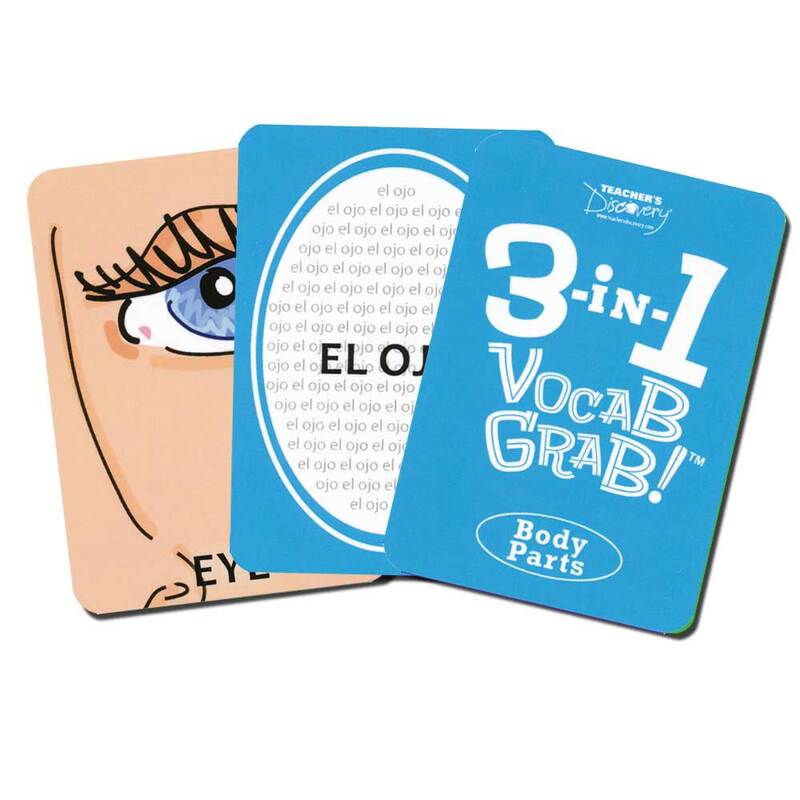 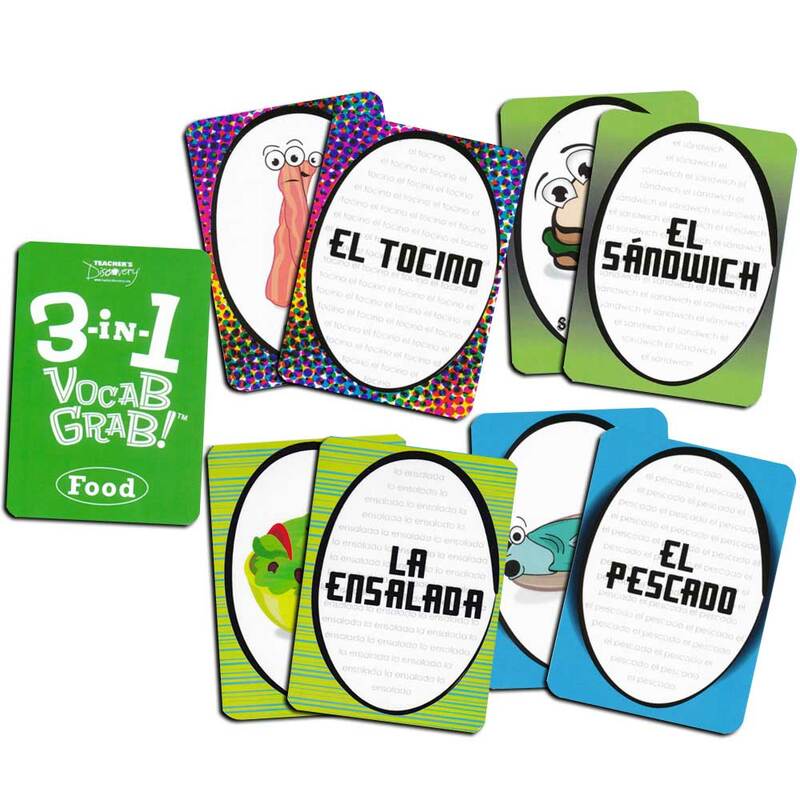 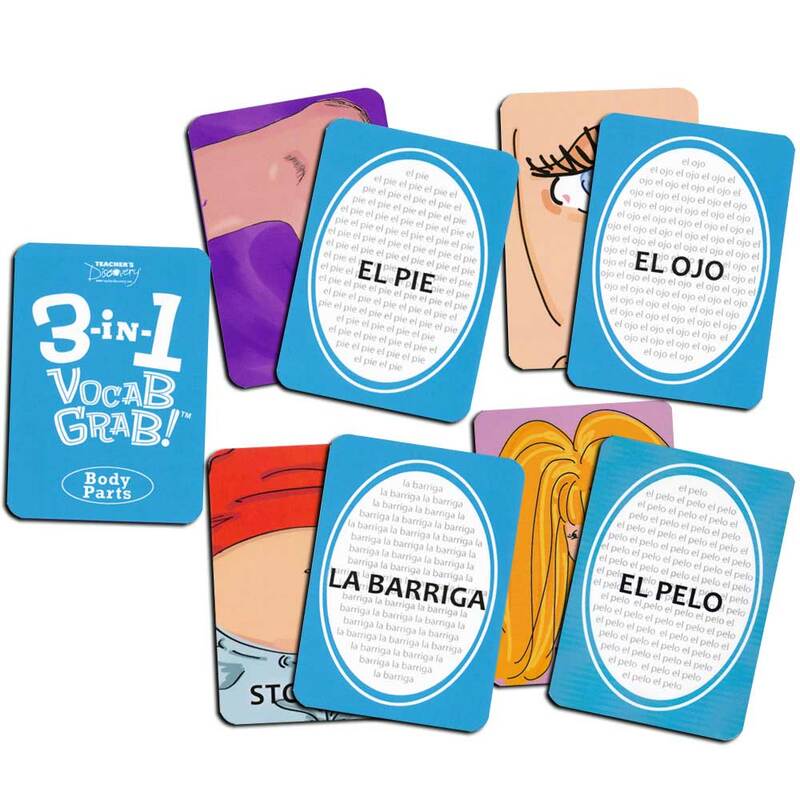 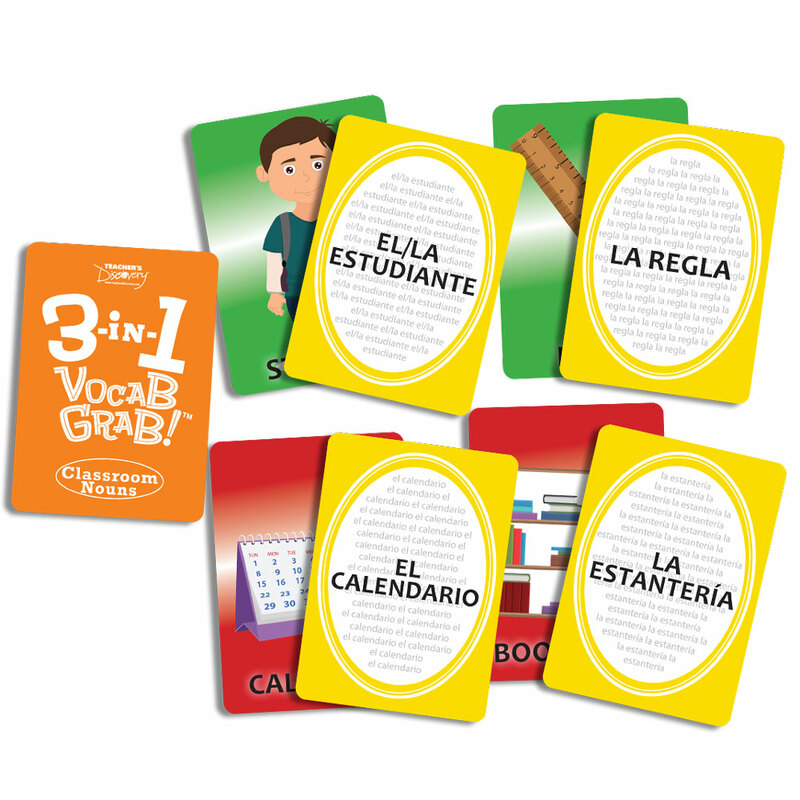 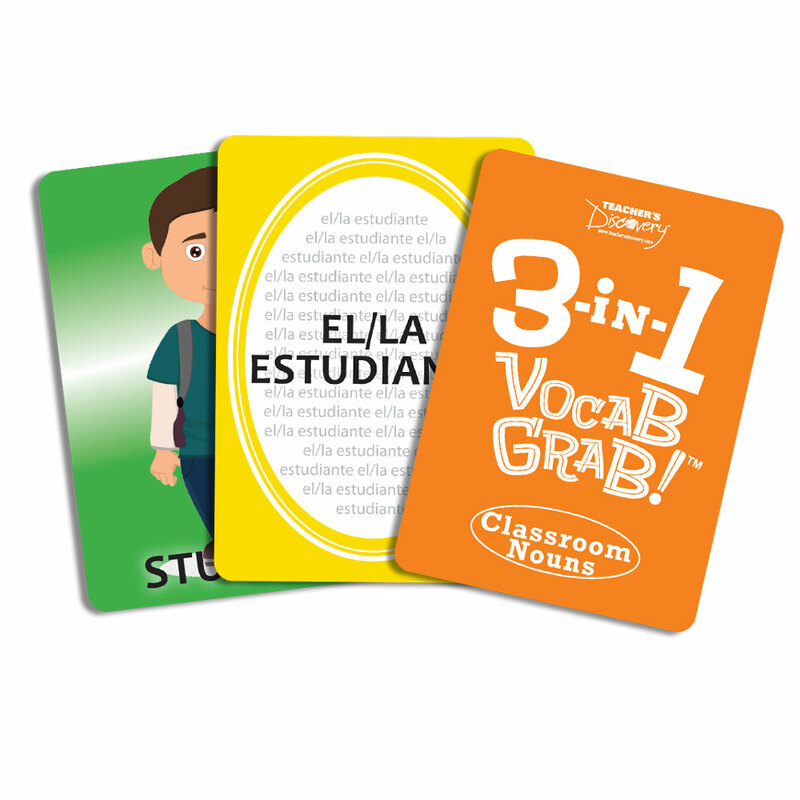 These card sets are perfect for your visual learners, and can remind your whole classroom that learning vocabulary is FUN! 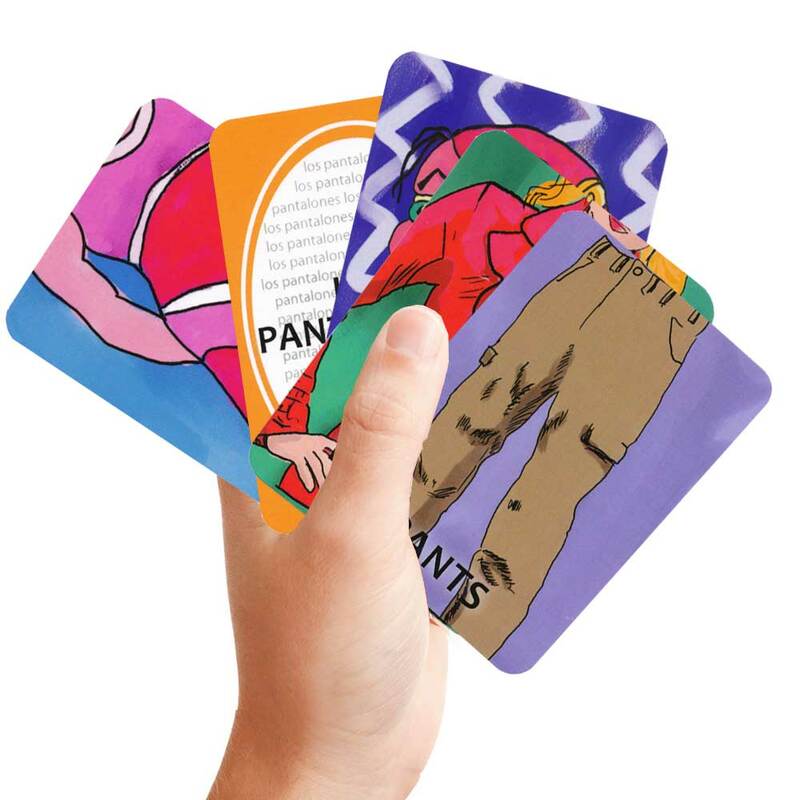 ©2014. 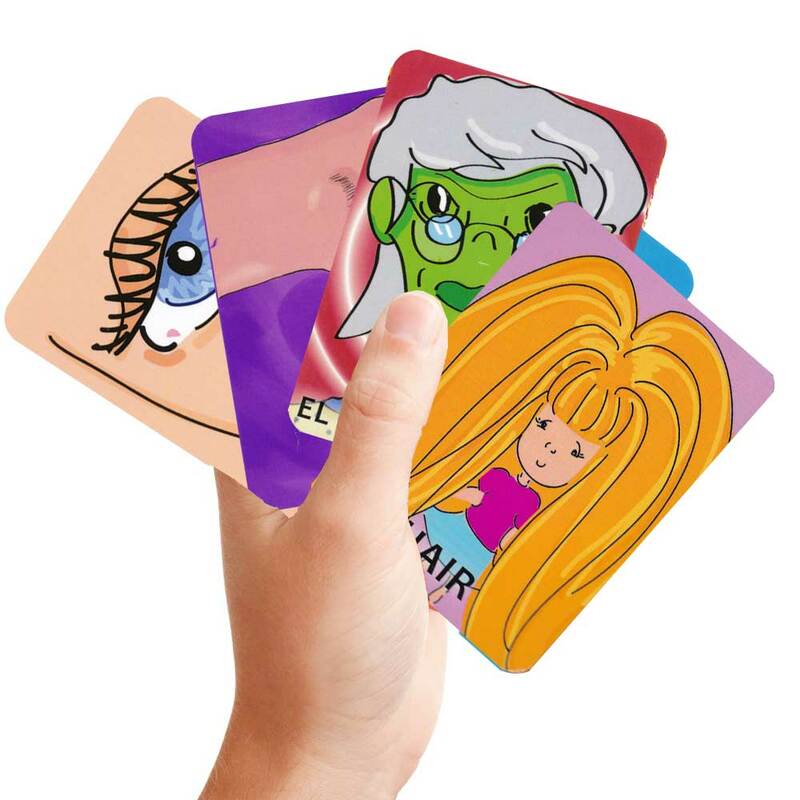 Four players. 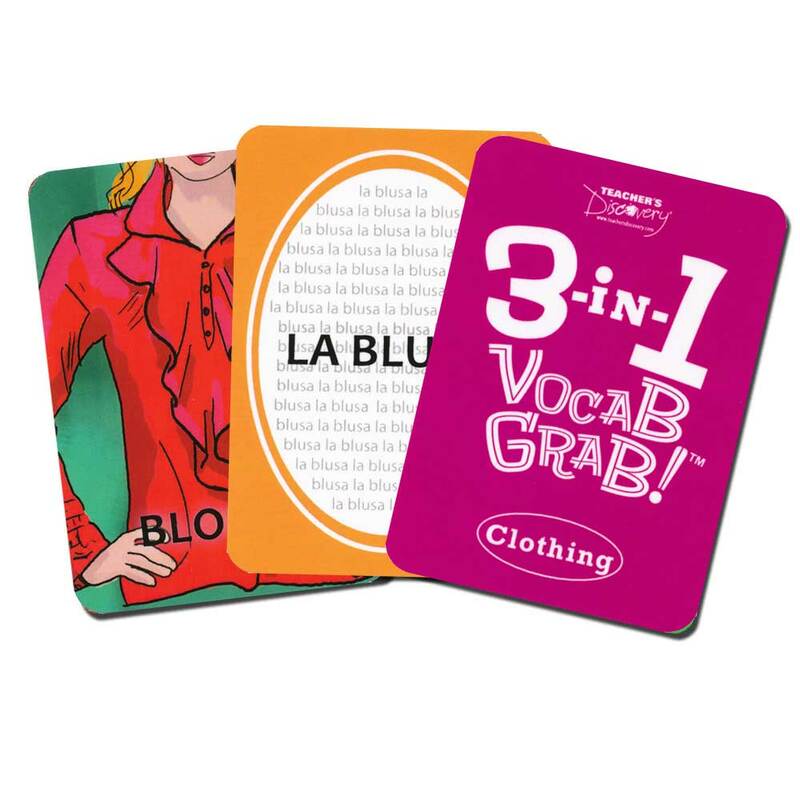 Each game contains 49 playing cards and instructions. 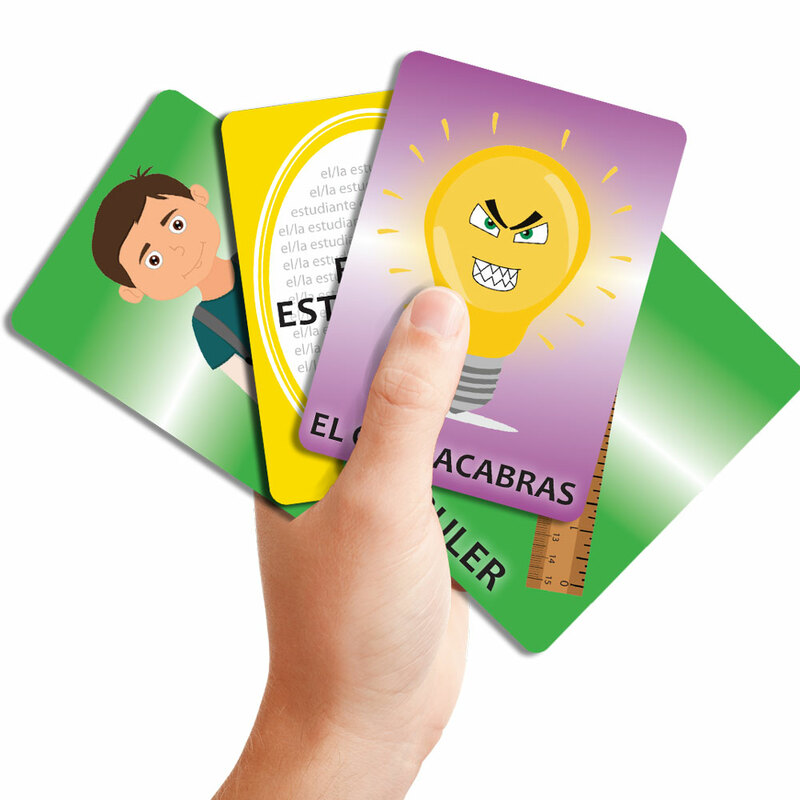 Beginning level.